Salary, Benefits, Pensions, and Workload negotiations are currently under way. 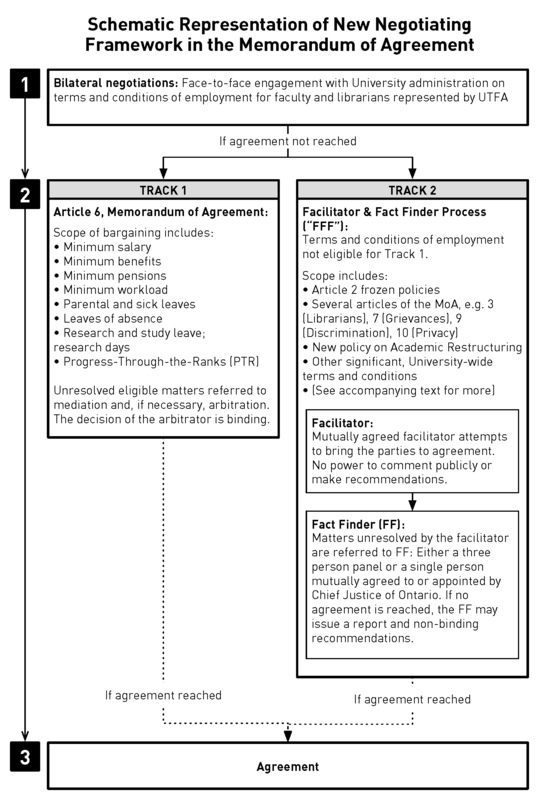 This will be UTFA’s first round of bargaining under our new framework resulting from SJAC. A diagram laying out the new process is below (download PDF here). A Bargaining Report is forthcoming. To see what UTFA is currently up to, you can visit our News page or our Recently Revised/Created Policies page.